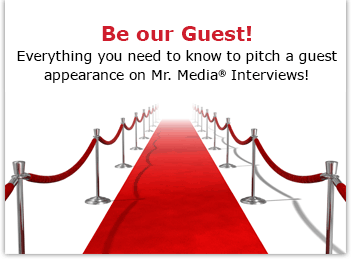 Watch this exclusive Mr. Media interview with Nick Davis by clicking on the video player above! Ted Williams plaque at National Baseball Hall of Fame in Cooperstown, NY. I’m a lifelong baseball fan whose heroes were Mickey Mantle of the Yankees and Tom Seaver of the Mets. I never met Ted Williams, but I did have a book I wrote, Stadium For Rent, enshrined in the Ted Williams Hitters Hall of Fame at Tropicana Field here in St. Petersburg. Just sayin’! If you love baseball as much as I do, there will be moments in Nick Davis’s new documentary, Ted Williams: “The Greatest Hitter Who Ever Lived,” that will choke you up and maybe even bring a tear to at least one eye. It is extremely well done, compacting the life of one of sports’ most accomplished, combative, and competitive characters into a mesmerizing hour. Boston Red Sox fans won’t be able to resist the continuity of Wade Boggs talking about Ted Williams, or that one of the film’s executive producers is “Big Papi” himself, David Ortiz. Ted Williams: “The Greatest Hitter Who Ever Lived” – narrated by “Mad Men” star Jon Hamm — premieres on Monday, July 23, at 9 p.m. on your local PBS television station. After that, you can see it online at pbs.org/americanmasters and on PBS apps.